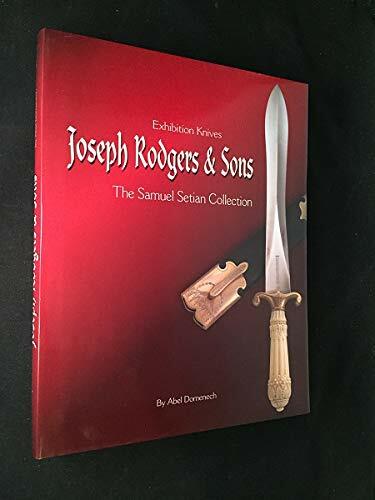 During the Golden Age of the Sheffield Cutlery trade, from the middle of the 19th century, until the first quarter of the 20th, the famous British firm &quot;Joseph rogers &amp; Sons&quot; produced the finest examples of knives and other cutlery in the world. Among it's clients were members of all European Royalty, as well as governments and members of high society around the world. The name &quot;Rogers&quot;, and it's trade mark symbols are forever associated with products of the highest quality and beauty of design. This book traces the history of the now defunct company, and shows in detail in hundreds of full color full page photos the most important private collection in existence. With more than 300 pages lavishly illustrated with more than 150 color photographs and drawings, this book depicts the magnificent examples which form the core of the unique collection. An Argentine collector well known internationally , having published over 350 books and articles.